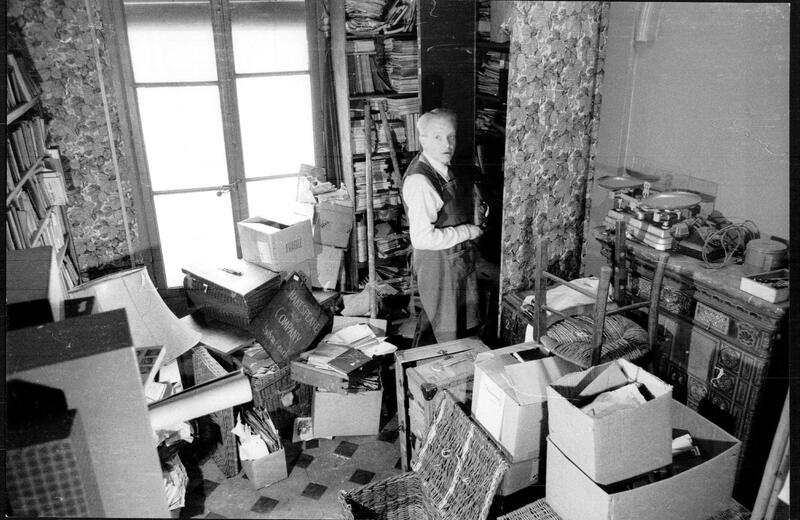 That’s Sylvia Beach ↑ founder of the Shakespeare and Company, pictured in 1945 in the apartment upstairs where she hid her books from the Germans during the occupation. 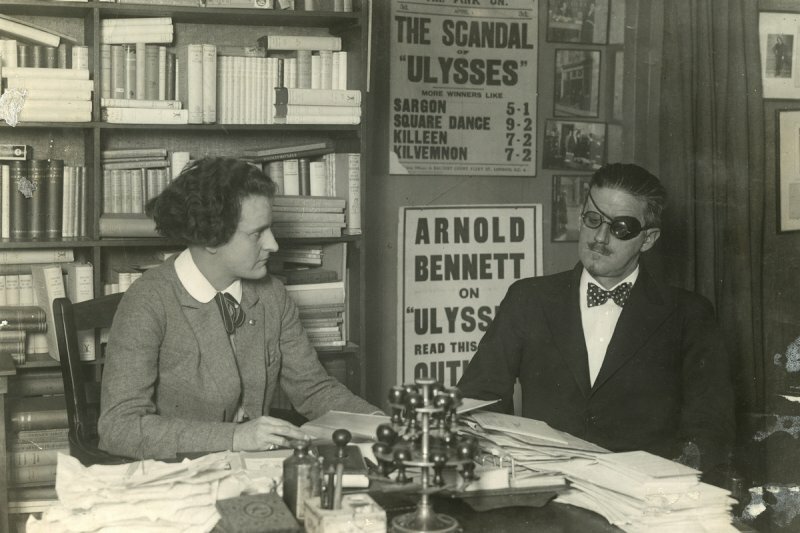 They had closed her shop in 1940, allegedly because she would not sell her first edition of James Joyce’s “Ulysses” to a Nazi officer. Notice the American flag floating from her window. 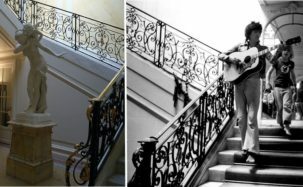 When Paris was liberated by the Americans, Ernest Hemingway “personally liberated” the store, but it would never re-open. 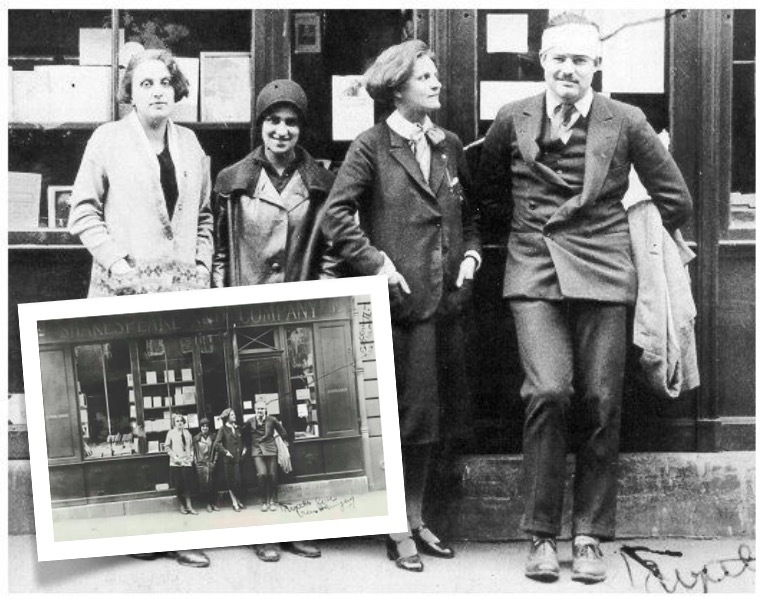 When I first learned that the present-day Shakespeare & Co bookshop in Paris was not the original shop Hemingway had written about, I had only recently arrived in Paris and just finished reading A Moveable Feast for the first time. It was a little bit like learning Father Christmas was not real. Don’t get me wrong, Shakespeare & Co today is still a magical place, especially in the evenings when I like to browse for my next read when all the tourists have gone for the day (it’s open until 11pm)– but we’ll get to that in a minute. 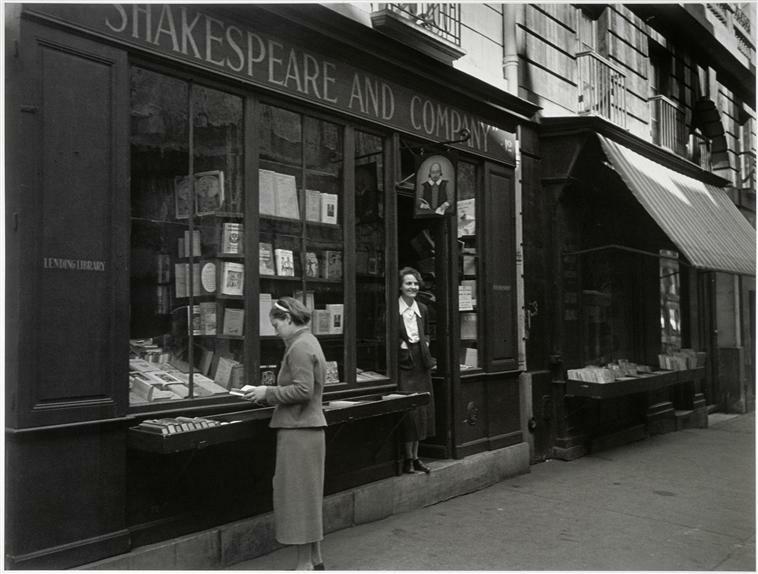 Just in case you’re not up to speed, the original Shakespeare & Co opened in 1919 at 8 rue Dupuytren in Saint Germain before moving to a bigger location a few streets over to 12 rue de l’Odéon. 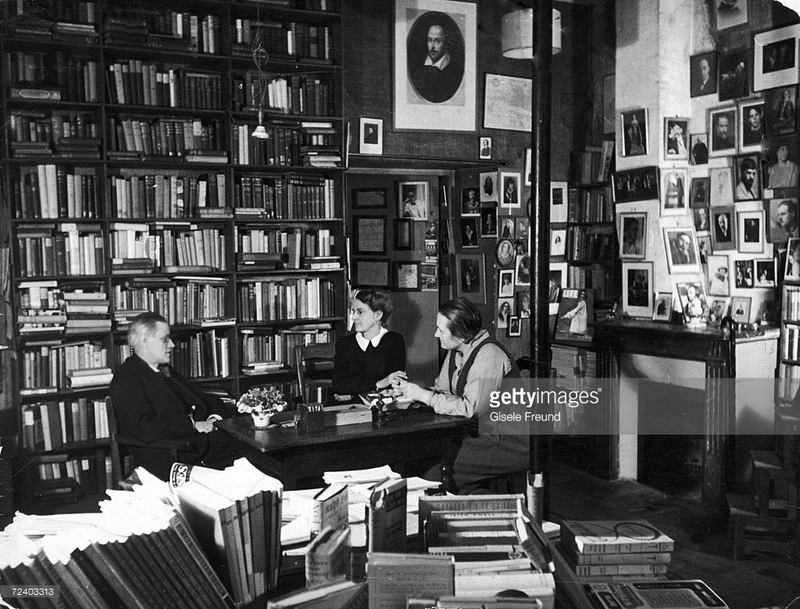 This was the original bookstore that became a second home to the members of the “lost generation” including Hemingway, F. Scott Fitzgerald, Gertrude Stein, James Joyce and so on. Today, the facade is unrecognisable from the few photographs I’ve found of the original shop. There’s a small memorial plaque above the clothes boutique that now stands its place. 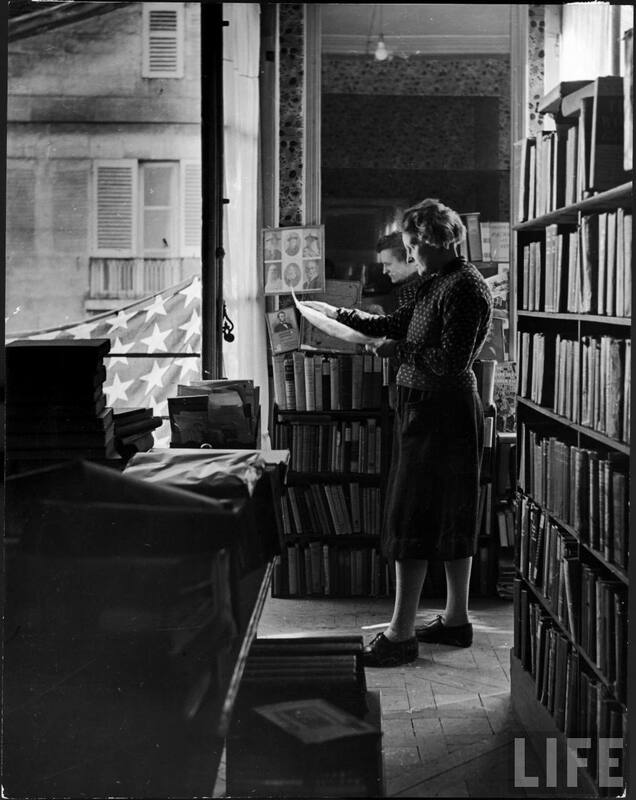 This is the bookshop where the New Jersey expatriate, Sylvia Beach lent a young and penniless Ernest Hemingway his reading material and sold copies of his first book in 1923, having encouraged its publication. This is the shop he wrote about in the pages of his moveable feast. 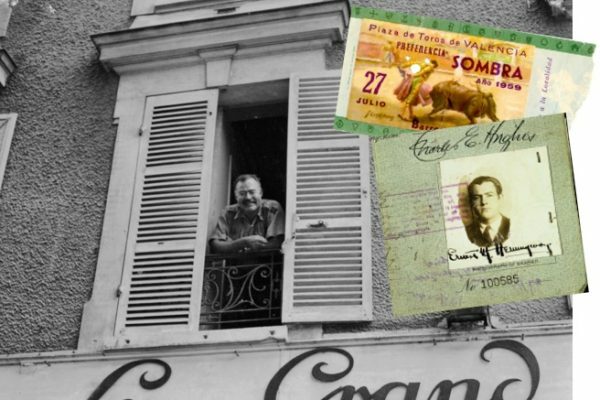 The Shakespeare & Co we know today facing the Notre Dame along the river Seine was opened in 1951 by American ex-serviceman George Whitman, under the name Le Mistral. 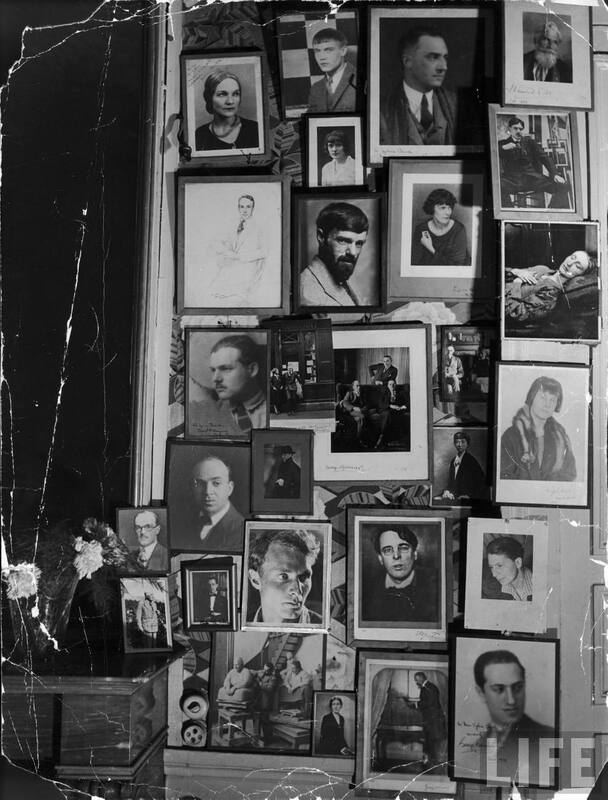 In the absence of Sylvia’s store, after which he modelled his, Whitman’s bookstore also became a focal point for literary culture in bohemian Paris, this time for the beat generation; nurturing the likes of Allen Ginsburg, Henry Miller and Anaïs Nin. 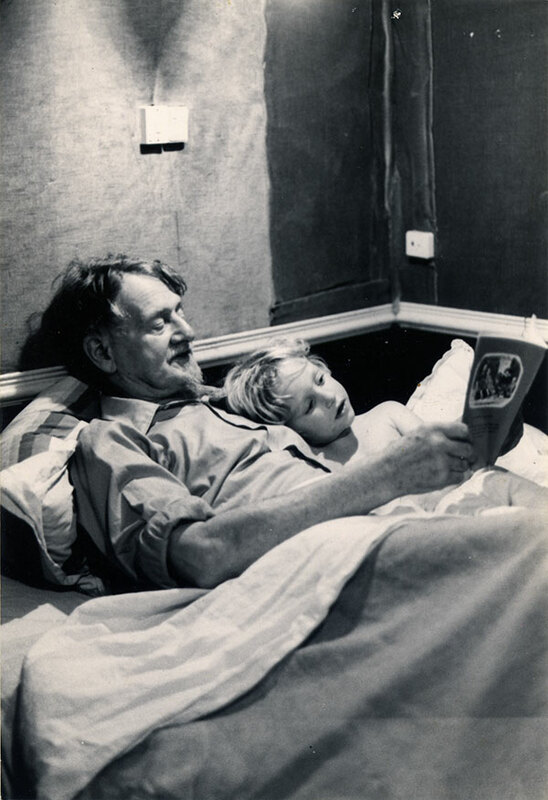 George befriended Sylvia in her retirement and while dining together one night in 1958, she publicly announced that she was handing the name to him for his bookshop. 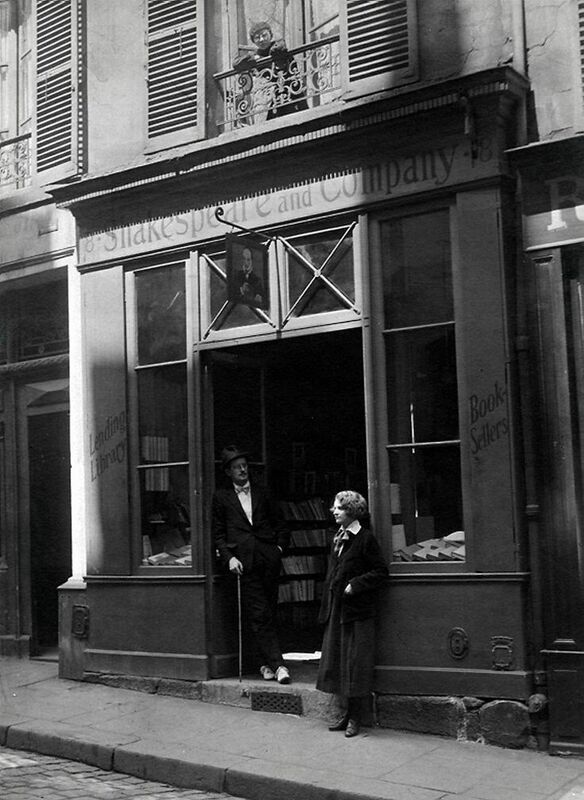 It wasn’t until Sylvia Beach died in 1964 that Whitman renamed the shop Shakespeare and Company in her memory. 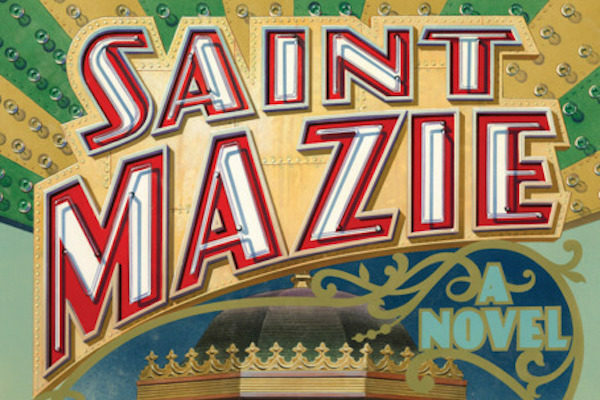 He described the name as “a novel in three words”. 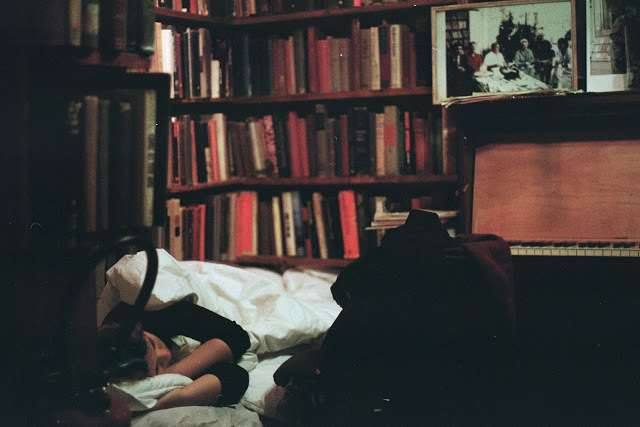 Whitman in his apartment above the bookshop with her daughter who he named Sylvia. 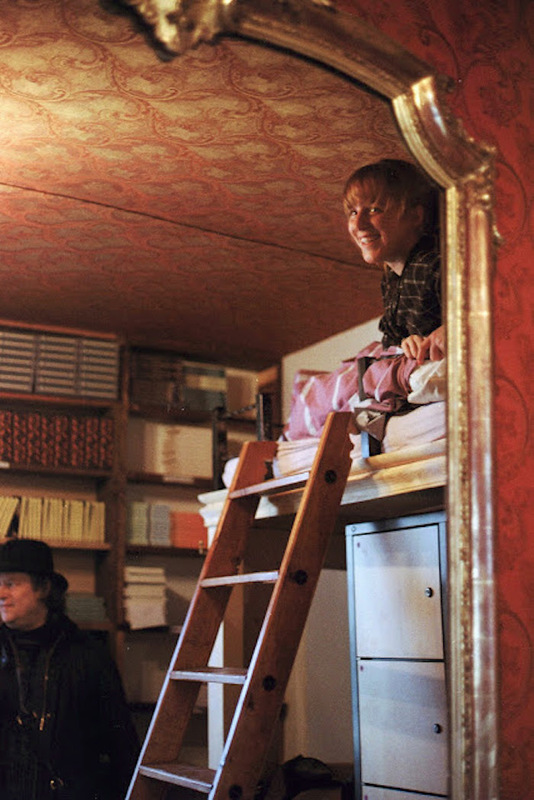 Following his death in 2011, she now runs the store in the same manner. 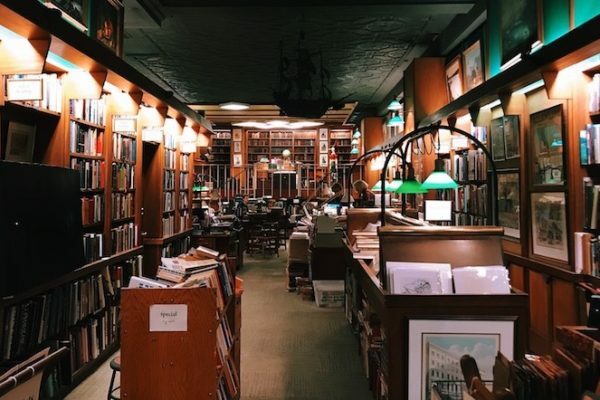 Whitman’s bookshop has its own history and its own story to tell. 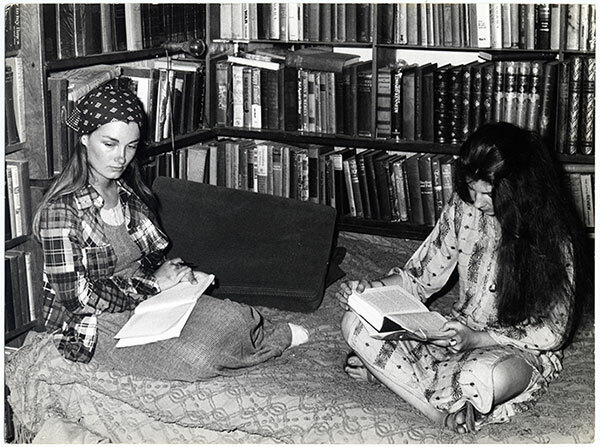 For example, did you know that today’s Shakespeare & Company bookshop has also been moonlighting as a tumbleweed hotel since it opened in 1951, with 13 beds hidden away in the bookshelves? 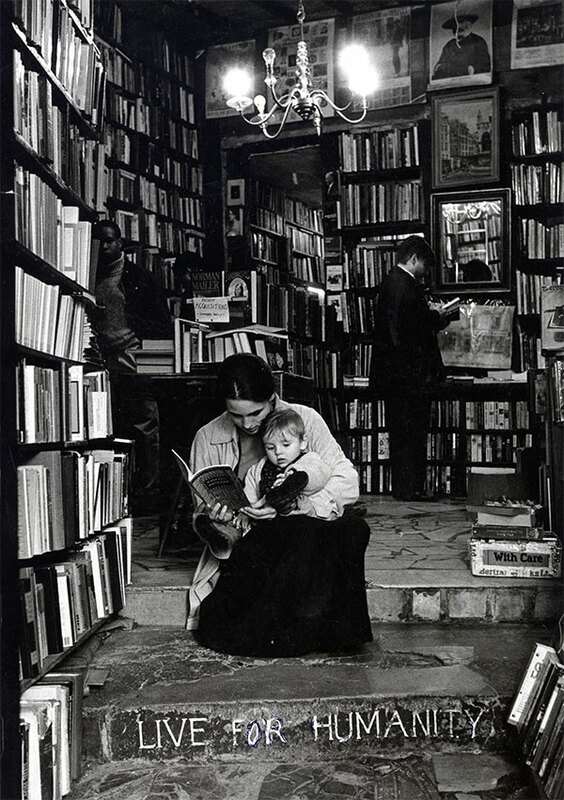 Just as Sylvia Beach helped a struggling young writers in the 1920s when she first opened Shakespeare & Co, nearly 100 years later, the bookshop is still extending a helping hand to young writers in Paris by inviting them to stay at the bookshop. 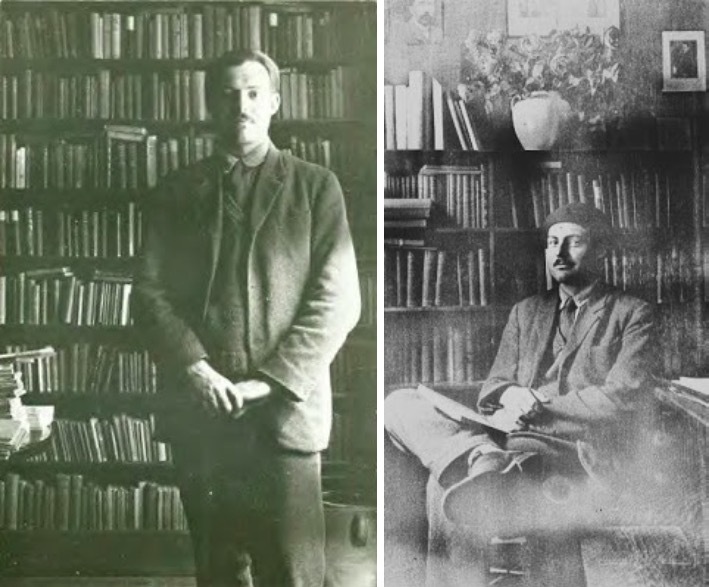 The only things they ask in return from the tumbleweeds (as requested by George Whitman himself) is that they work in the bookstore 2 hours a day, commit to reading a book a day and write a one page biography before moving on. Upstairs are thousands and thousands of the tumbleweeds’ one-page biographies, going back five decades. 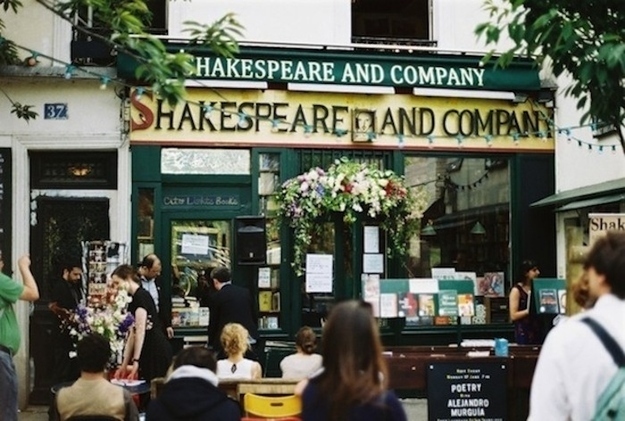 Read more about Molly’s experience as a Shakespeare & Co Tumbleweed on her blog. 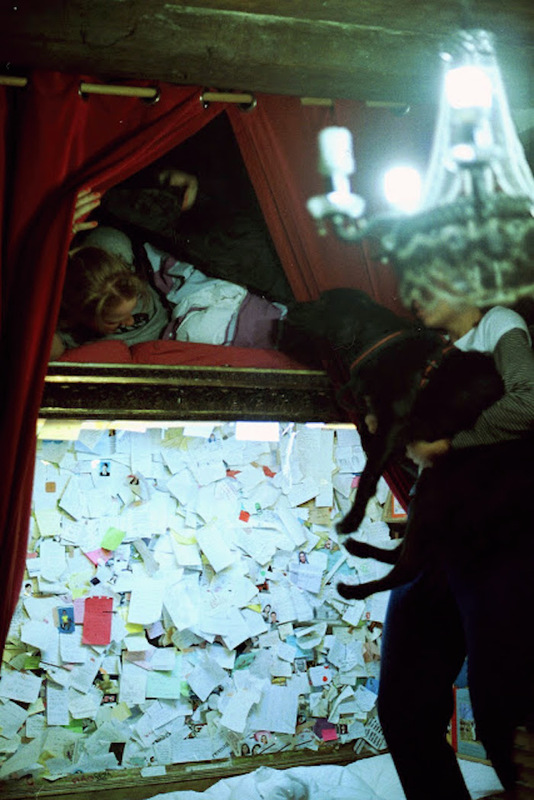 Visit the present-day Shakespeare & Company bookshop in Paris here, which by the way, in case I forgot to say, feels just as good as the original– even better at night. 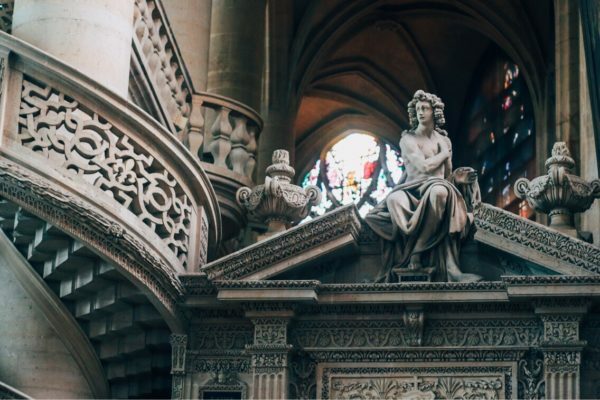 Keep up with evening readings, live music & events on their Facebook page.